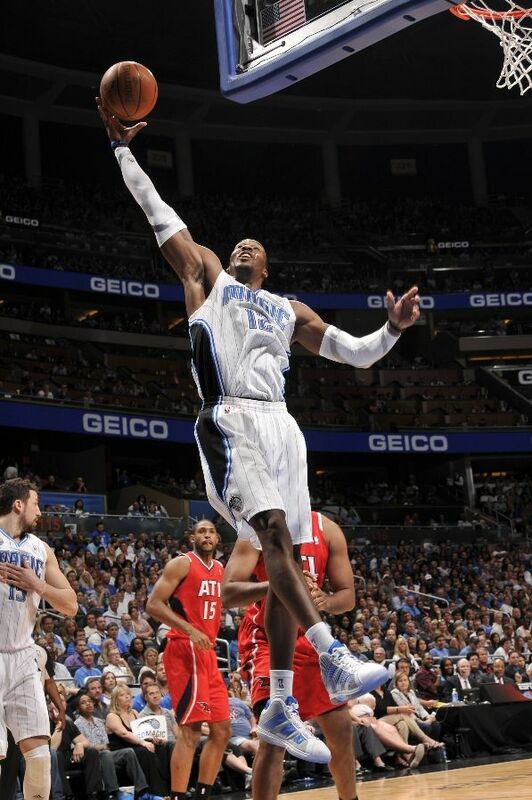 Dwight Howard was named the NBA's Defensive Player of the Year for the third time earlier today. Let's take a look at the shoes that helped him get there. Earlier today, Orlando Magic center Dwight Howard made history by becoming the first player to win the NBA's Defensive Player of the Year Award in three consecutive seasons. In a landslide vote, Howard received 114 out of a possible 120 votes. A season in which a lot of attention was focused on his improving offense, Howard continued to anchor a Top 5 Magic defense that is average at best without him. While Derrick Rose is probably in line to win the MVP Award, and rightfully so, no one player was as single-handedly responsible for their team's success as Dwight was for Orlando this season. Despite inconsistent production from highly paid teammates, a huge mid-season roster shakeup and playing a healthy portion of the season without a legitimate backup, Dwight carried the Magic to another 50-win season and homecourt advantage in the playoffs. His 23 points and 14 rebounds per night were both career highs and he made his 5th NBA All-Star appearance back in February. 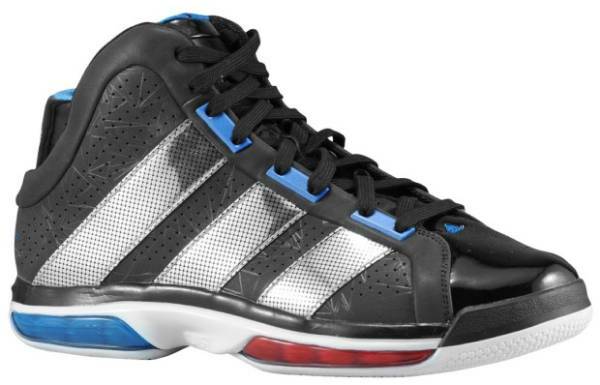 Though Dwight emerged as one of the game's stars in previous years, 2010-2011 marked the first season Dwight received an official signature shoe. In fact, he was given two of them. For the first half of the season, he wore the Beast Commander and teamed up with Dr. Ken Jeong aka Slim Chin for a hilarious and highly underrated "Fast Don't Lie" TV spot. For the second half of the season, he wore what I think is by far his best adidas sneaker to date - the Superbeast. Supported with SprintSkin panels, the Superbeast also featured large 3-Stripe branding, visible ALIVE cushioning and double-stacked Z-Torsion in the foot. Thus far, four different colorways of the Superbeast have been released, including special make-ups for the All-Star Game and St. Patrick's Day. We've already seen a preview of the shoe Dwight will wear next season, but before we get too far ahead of ourselves, let's recap the best we've seen this year. Let us know what Dwight shoes what your favorite in the comment section below. Click here to check out Top 5 lists for other top players as well. 5. adidas Superbeast - "All-Star"
Some speculate that Dwight Howard's next destination could be Los Angeles if things don't work out in Orlando when free agency hits next summer. While that remains to be seen, here's the type of thing adidas may have in store for him if he does indeed invade Hollywood. Inspired by the glamorous life of Tinseltown, this version of the Superbeast stripes away the SprintSkin supports on the side panels for tonal 3M reflective flash bulb graphics and platinum 3-Stripe branding. Dubbed the "Red Carpet Edition," the shoe lives up to its nickname with a red velvet footbed fit for a Hollywood premiere. 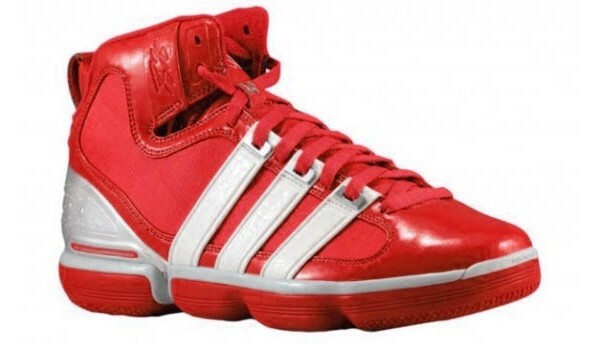 4. adidas Beast Commander - "World AIDS Day"
Dwight isn't a guy that puts a lot of exclusive sneakers on the court, but this pair was an attention-grabber. Unlike Derrick Rose, Howard has no red colorways in his signature line. So, for world AIDS Day back in December, adidas hooked him up with this custom red colorway of his first half signature shoe, the Beast Commander. 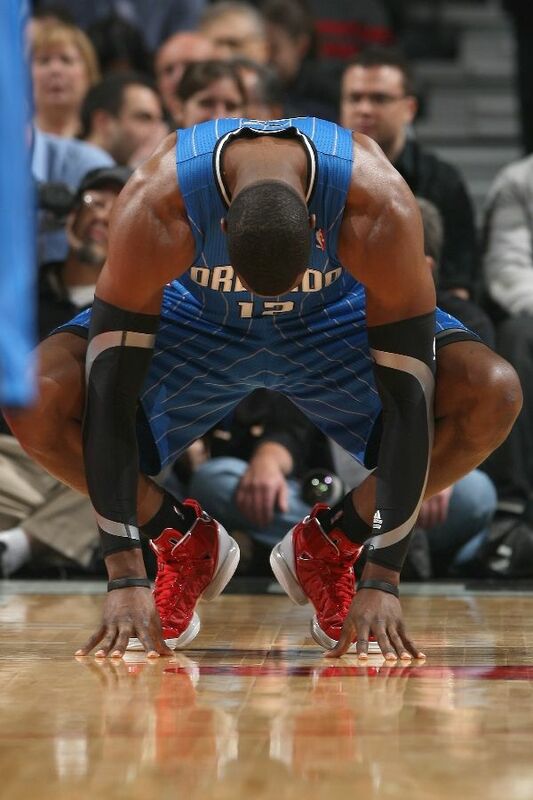 Ironically, the Magic played the Bulls in that game and handed them a 29-point loss, their worst of the season. A lot has changed since then. 3. adidas Superbeast - White/Bright Silver "Home"
Here's the Superbeast that Dwight has been rocking for Orlando's home games since right before the All-Star Break. 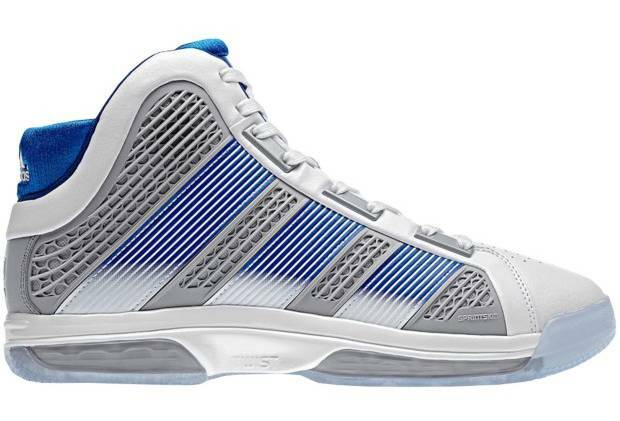 This clean colorway features a white upper, light silver SprintSkin paneling and fading bright blue stripes. Finishing off the look below is everybody's favorite sneaker feature, an icy translucent outsole. Possibly being overlooked about the Superbeast collection is that they all feature different materials on the upper. While others opt for nubuck and patent leather, this colorway sports a build of textured white leather. 2. adidas Superbeast - "St. Patrick's Day"
In the past, I've been disappointed by the lack of special event/holiday releases from adidas Basketball, but they stepped it up in a pretty big way this year. On St. Patrick's Day, they released special green-based colorways for their signature athletes, including this Superbeast for Dwight. 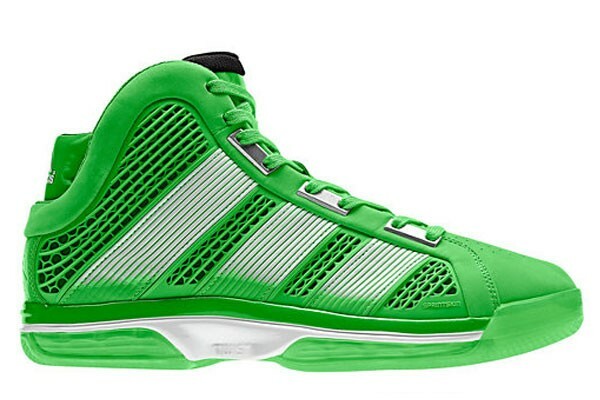 Instead of just making this a typical green St. Patrick's Day shoe, adidas linked the design to a huge part of Dwight's past. In his younger days, Dwight wore green when he hooped for the Atlanta Celtics, a prominent AAU Basketball program. Stitched on the backside of the tongues is the name Wallace Prather Jr., Dwight's AAU coach and mentor who passed away in 2005. 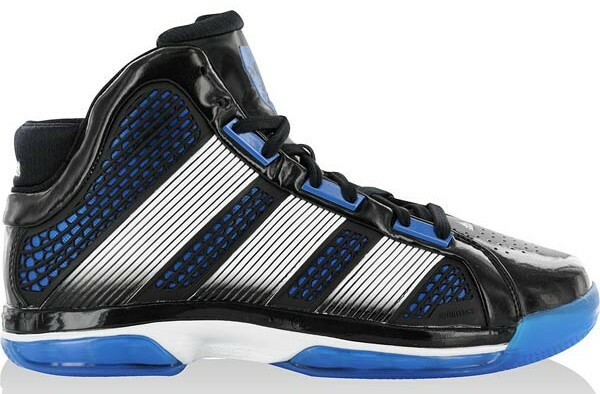 1. adidas Superbeast - Black/White/Bright Blue "Away"
The launch colorway of the Superbeast is perched at the top. 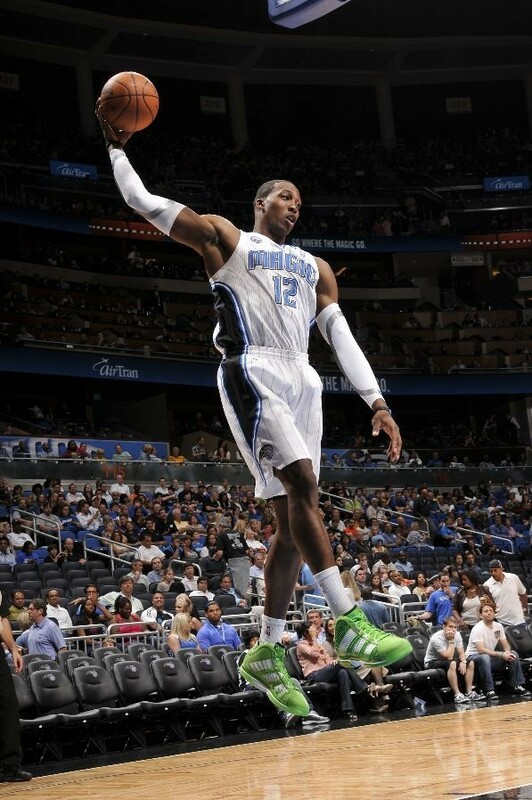 In my estimation, this shoe is the single-best shoe Dwight has even been laced with. Part of what made these so great is the fact that Orlando introduced a black pinstripe alternate jersey that matched them perfectly. Black patent leather, large white fading 3-Stripes and bright blue detailing on the eyestay, mesh underlayer, visible cushioning windows and outsole make this shoe one of my top releases of the year.